Smog kills tens of thousands of Poles each year, yet environmental activists say the right-wing government of the coal-loving nation has been dragging its feet on combatting air pollution. On some winter days, a grey haze obscures the lights of the Polish capital's skyscrapers and the air smells like burning plastic. "It's starting again. Warsaw is second on Air Visual, just after Kathmandu, and ahead of Calcutta and New Delhi," says Maria, a Polish mother of three young children, as she checks an air quality monitor on her smartphone while sipping her morning coffee. A 2016 World Health Organization report revealed that an eye-popping 33 of Europe's 50 most polluted cities were in Poland. The European Environmental Agency meanwhile blames air pollution for an estimated 50,000 premature deaths per year in the country of 38 million. Pollution is especially severe in the south, cradle of Poland's coal industry—whose hub, the city of Katowice, is set to host the COP24 conference on global warming in December. Many Poles have lost faith in the ability of institutions to address the scourge, instead taking matters into their own hands. 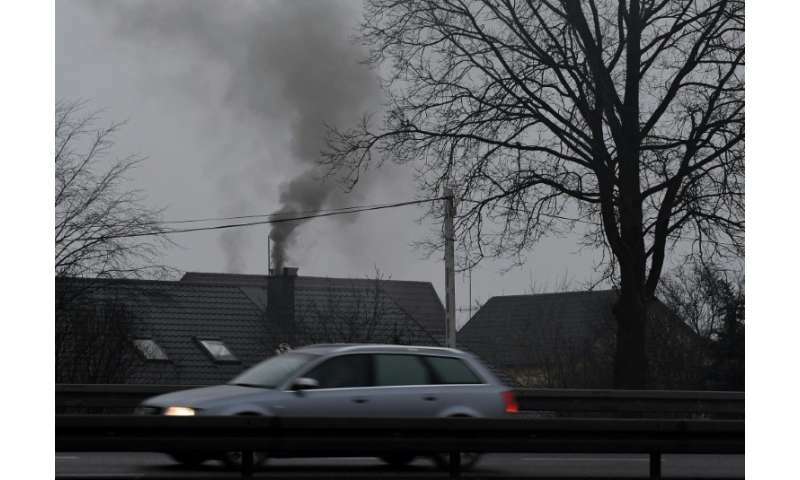 "In our town of Pszczyna, Poland's second most polluted city, we have to do something," said Jan Franek, a 16-year-old member of a student group against smog. "Many of our older residents don't believe in smog. According to them, you can't see it so it doesn't exist," he added while on a visit to Warsaw to back an anti-pollution petition. The student activists, whose group name plays on the similarity of the words smog and smok (dragon in Polish) and translates as "Don't feed the smog", were on hand when the petition was delivered to the energy ministry. Signed by 36,000 people, the petition launched by Greenpeace Poland and local politicians calls on the government to impose strict standards for coal quality. Millions of Poles heat their homes with often low-quality coal, which is the main source of air pollution ahead of cars and industry. The government pledged to introduce coal standards in March 2017 but has yet to do so. The only measure taken by the state has been to ban the sale of old, low-quality boilers. But according to Marek Jozefiak, coordinator of Greenpeace Poland's climate and energy campaigns, "Modern boilers aren't enough if we continue to burn low-quality, polluting coal." The same applies for garbage, which gives off hazardous fumes when burned in coal stoves, still a common practice. According to pollution watchdog Polish Smog Alert, part of the problem is that the official pollution norm hides the severity of the issue. 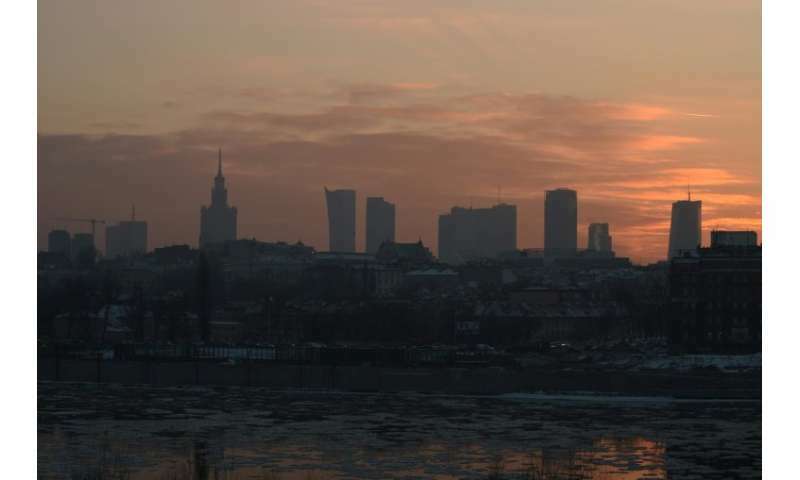 "If we applied the pollution threshold adopted in France here in Poland, many cities would be in a state of alert for dozens of days, some even for two months out of the year," says PAS activist Piotr Siergiej. While PM10 particle pollution is considered dangerous in Poland from 300 micrograms per cubic metre, the threshold is 80 micrograms in France. The government has promised no changes in the short term, and green activists accuse it of being influenced by the powerful coal lobby. Technology Minister Jadwiga Emilewicz has voiced concern over the high death toll from pollution-related illnesses, promising that "an improvement" will be felt within five years. She cites measures including higher coal quality standards, subsidies to help the poor insulate their homes, replace old polluting stoves or afford clean heating. For Maria, the Warsaw mother-of-three, five years is too long to wait. "By that point my children will have breathed in all these microparticles that will remain in their lungs or even their blood," she said.